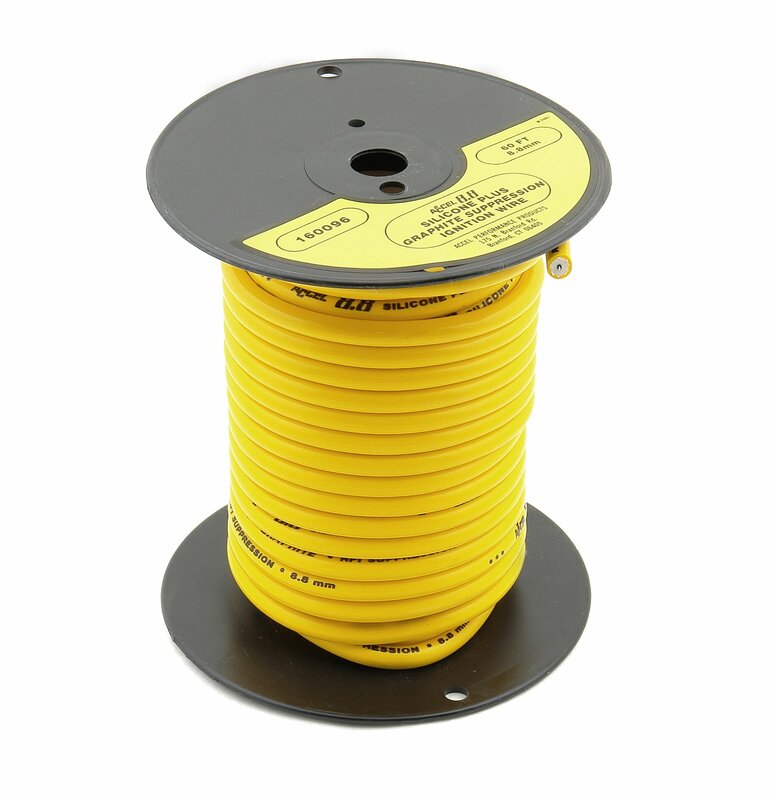 Limited To Stock On Hand - This 60ft roll of 8.8mm spiral core spark plug wire is yellow. 60ft spool of yellow 8.8mm jacketed with spiral core wire. Allows you to build wires to the custom length you demand. This 60ft roll of 8.8mm graphite core spark plug wire is yellow.